Will your favorite games be featured in my top 10 list from generation five? Generation five consists of systems such as Nintendo 64, PlayStation, Game Boy Color, and Saturn. Prepare yourself for a disappointing list, folks. This is an entire console generation where I am just... not a fan. I thought about it quite a bit, and I just couldn't come up with much from this era that I would ever want to go back and play again. Hardly anything from this time period has stood the test of time. Even games people lose their minds over like The Legend of Zelda: Ocarina of Time, Majora's Mask, Goldeneye, Resident Evil, Metal Gear Solid... I can't stomach ever going back and playing them. They've aged to the point of being unplayable to me. As such, this list only consists of one game. One game. This is a game that consistently draws me back in year after year. I have almost made it a tradition of playing through it at least once a year, usually around October. 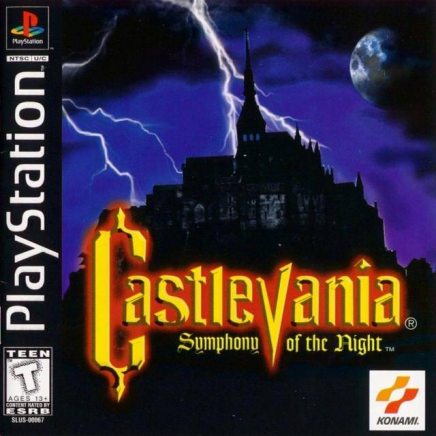 Wait until it gets cool and crisp outside, open the windows, play some Symphony of the Night. When this game came out, I had it in my head that I wouldn't like it. The first time I played it was at a friend's house and I was actually not too impressed with it. "You don't play as a Belmont? You play as that character in Castlevania III no one ever used?" Pass. But I was absolutely wrong. 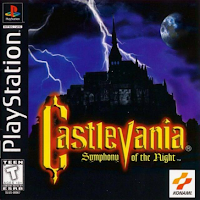 It wasn't until the Castlevania games started coming out on Game Boy Advance that I went back and gave it an honest shot, and let me tell you, that time I instantly fell in love with it. Something that time around clicked. Now, it's the only game from the entire generation I would ever go back to and play through again. I love this game. If PlayStation had more sprite based 2D platformers on it, I probably would have more games on this list. As it is, this is the only game from an entire generation I feel strongly enough to put on my top 10. Someone is probably throwing a fit in their seat right now because Ocarina of Time isn't on this list. But it's not because Ocarina of Time is garbage.